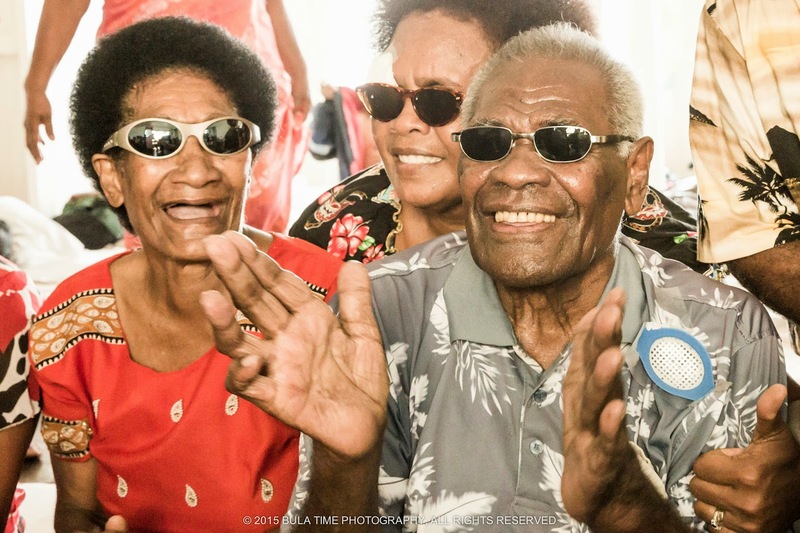 The Rotary Club of Taveuni (RCTI) operates an annual Eye Surgery Programme for the removal of Cataracts and Pterigiums. Their programme focuses on Fijians in remote villages and Islands who could otherwise not afford the travel and accommodation costs. 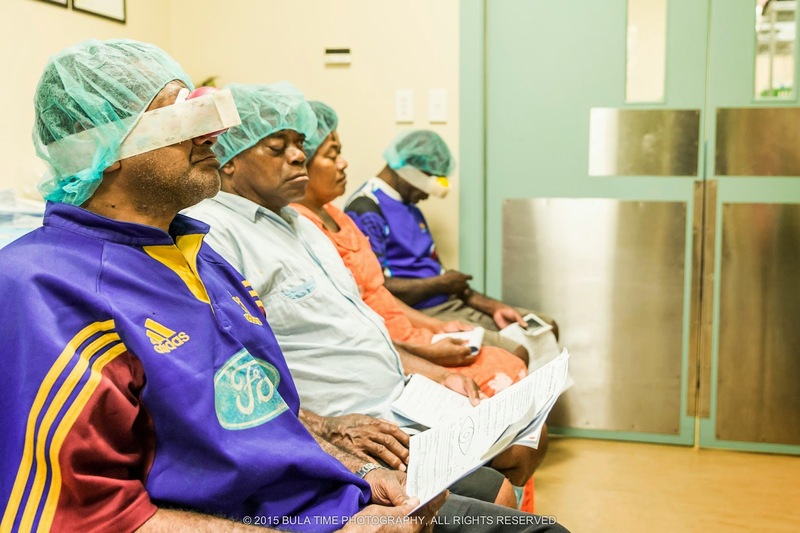 Each year they conduct around 300 surgeries over 10 days - allowing Fijians to regain their sight and contribute to their families, rather than having to be looked after. Pioneered by Rotarian Geoffrey Amos – this is Rotary Taveuni’s flag ship project – now in its 9th year. RCTI has built up quality Ophthalmology equipment and has the use of 2 surgical rooms at the Taveuni Hospital. 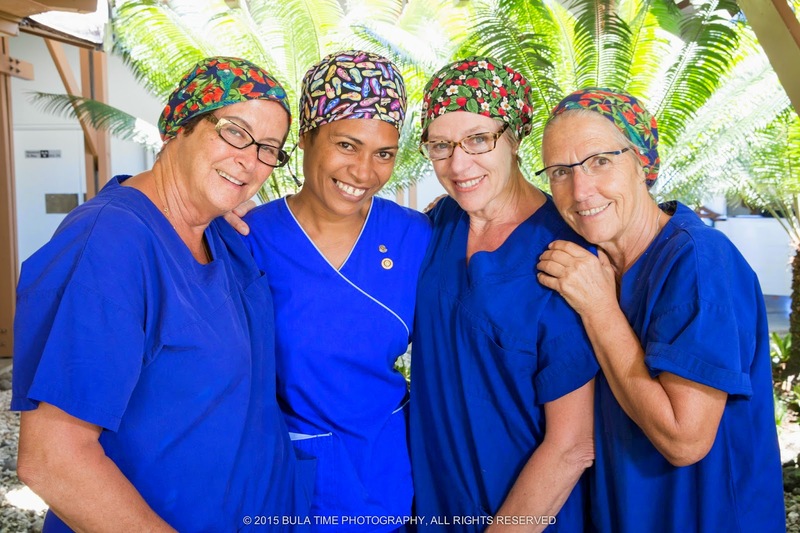 Highly skilled volunteers return each year and have developed techniques to deal with the difficult cataracts arising in the Pacific. In November 2014 an Ophthalmologist from USA (Dr Jeff Rutgar) and New Zealand (Dr David Prendergast) volunteered, supported by a GP from Australia. They were supported by 8 experienced nurses from New Zealand and Fiji. The logistics were demanding. The Fiji Blind Foundation conducted an Out Reach programme (with costs funded by Rotary) in June to remote Islands and villages. Once prospective patients were assessed transport arrangements were made to get them to Taveuni Island by bus and ferry. This took several days for some and required courage by many who had never left their village before. On arrival patients were accommodated simply at the Hospital and a nearby school – mattresses on the open plan floor. Many patients had to stay at Taveuni for 3-5 days because of ferry schedules. A support team of 10 organised by RCTI managed the transport, accommodation, laundry and catering for patients and the medical team. The scheduling of patients was challenging to maintain an even workload for the surgical team. Patients were medically assessed by GP Dr Gregg Booth and support nurses and detailed records maintained. 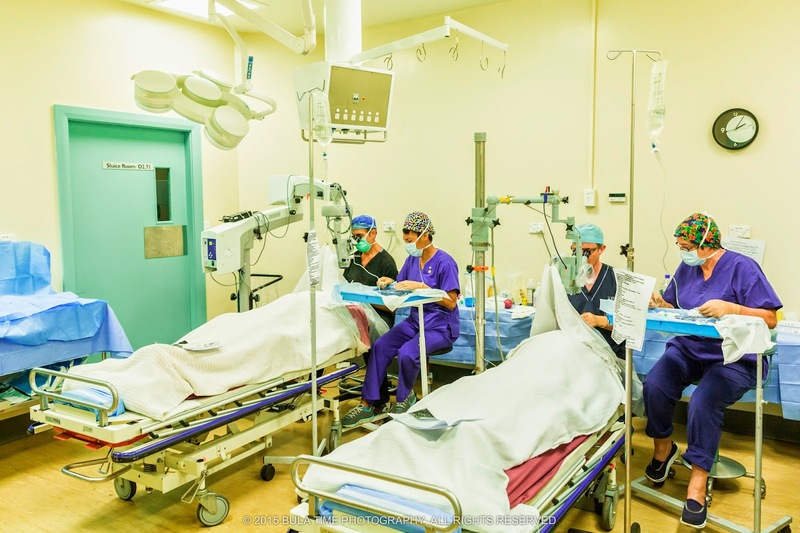 Pre-Op procedures included optics measurement and local anaesthetic. Surgical procedure involved a small incision, removal of the cataract then insertion of an intraocular lens. In the case of Pterigiums (30%) – the membrane covering the eye is removed. This is a more painful recovery. Post-Op – the eye was protected with a patch – nicknamed “Spiderman”. This was removed the next day, the eye inspected, anti bacterial drops applied, sunglasses supplied and advice given on eye care. “Patch off day” was emotional with lots of joy, bewilderment and happiness. On our last Patch off day they all sang spontaneously. Plans are well advanced for the 2015 Rotary Taveuni Eye Project. The cost will be NZ$100,000. A Global Grant will be sought again. Reference the Taveuni Eye Program (TEP) and include your Club name.